Want A Cup Of Coffee? Join The Link! Ever dreamed of seeing your work being published all the while sipping on a fresh cup of coffee? The Link is currently looking for writers, photographers, videographers and graphic artists to join our news team. We cover art, sports and current events at Concordia University and beyond. Your independent paper since 1980 is also looking to swell its ranks. 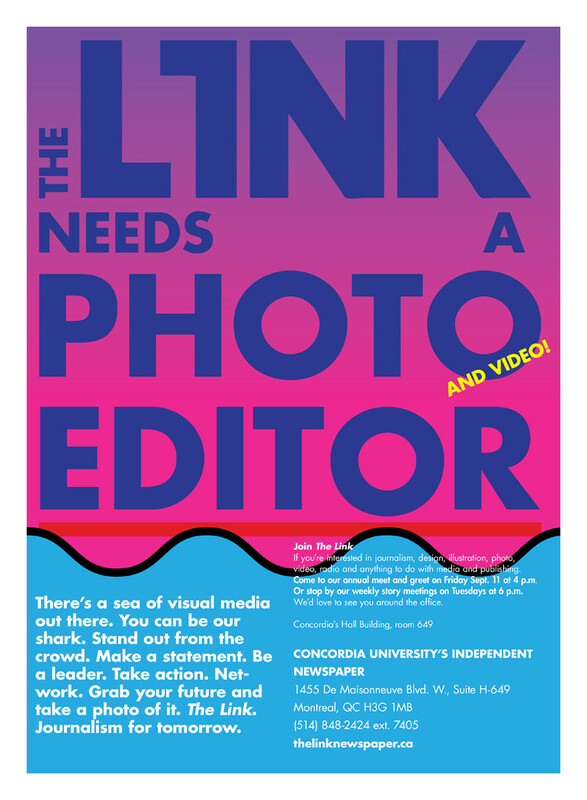 A few positions need to be filled including photo & video editor, copy editor, current affairs editor, assistant news editor and opinions editor. Come and meet with us. Our office is in room H-649. We gather for pitch story meetings every Tuesday at 6 p.m.
We also have a meet and greet on Sept. 11. at 4 p.m.